Overseametal Sdn Bhd is established in 1995 and has developed to become one of the leading manufacturers of metal roofing in Malaysia. Our main office is located in Kawasan Perindustrian Tebrau, Johor Bahru (JB). 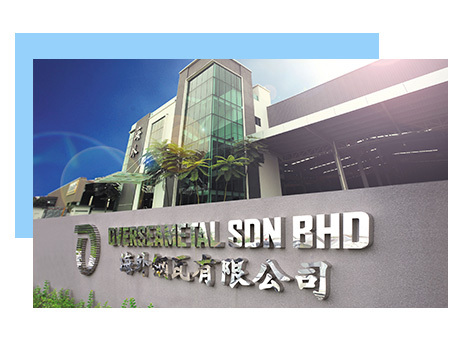 Besides having an extensive sales and distribution network, Overseametal Sdn Bhd also invests heavily in research and development in order to meet the increasingly complex demands of their customers.